On the coastline of Maafushi, Arena Beach Hotel features modern and tranquil accommodations with free Wi-Fi access in the entire property. Guests can enjoy water sports activities such as diving, snorkelling and windsurfing on site.Elegantly furnished, air-conditioned rooms come with a personal safe,.. This lodge is located on Maafushi Island, in the Kaafu Atoll. 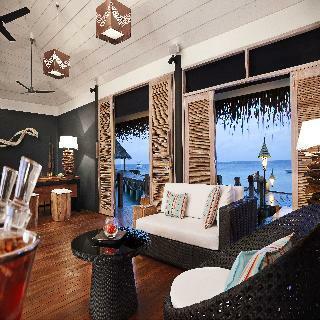 The lodge is set amidst a tropical paradise, surrounded by the shimmering, blue waters of the Laccadive Sea. Guests will find themselves surrounded by ample opportunities for exploration and discovery. This lodge offers guests an insight into.. Situated in the heart of Maafushi Island, Beachwood Hotel offers comfortable island-style accommodation with views of the city. It features an outdoor pool and provides free Wi-Fi access in the entire property.The hotel is about a 10-minute drive from Maafushi volleyball court. Male International Airport.. In the southernmost atoll of the Maldives lies the idyllic Canareef Resort Maldives, a 271 room hotel that presents the best the country has on offer. 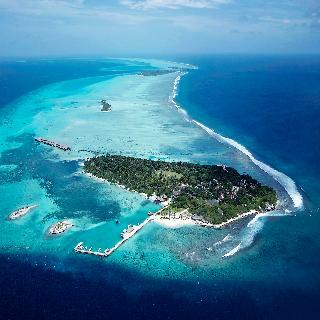 Situated on an island spanning 4.5 kilometers, it is the longest resort island in the country. 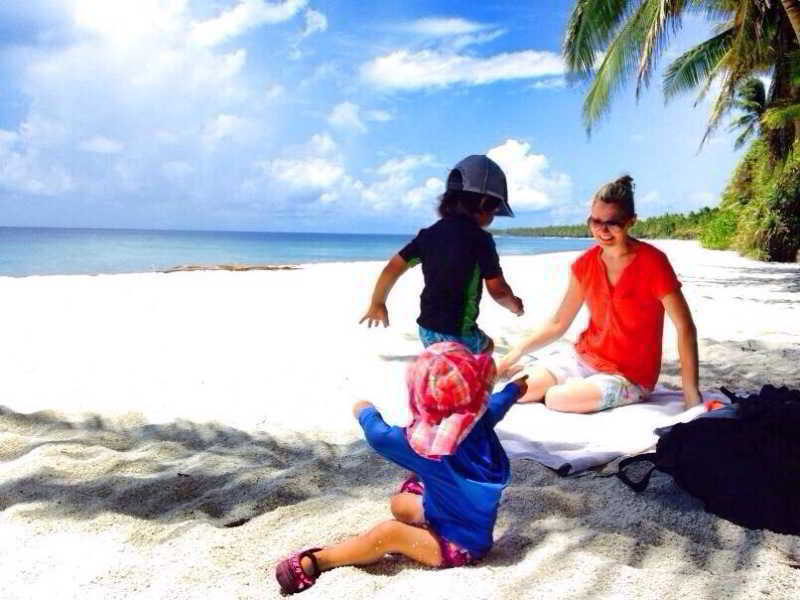 Experience the natural beauty of the island and its world.. 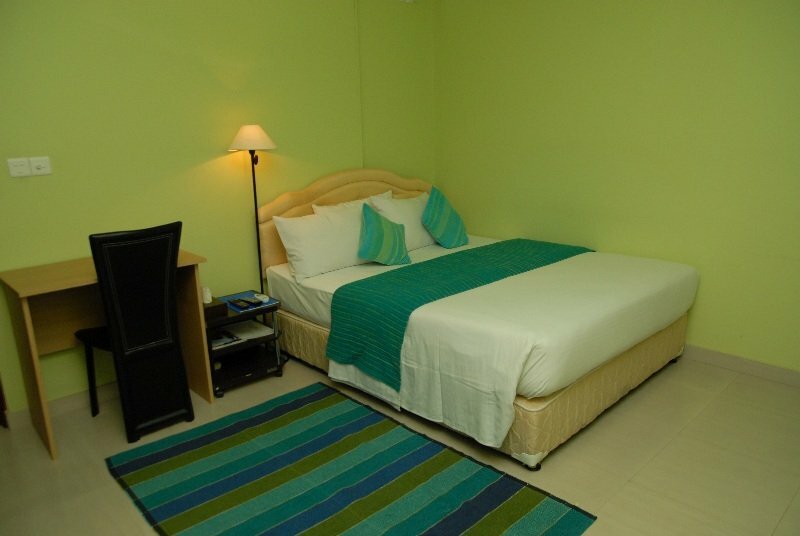 This hotel is conveniently located in Male City, just a short distance away from the airport. The hotel offers a great base, from which to explore this vibrant city. The excitement of the city centre is just 2 km away. 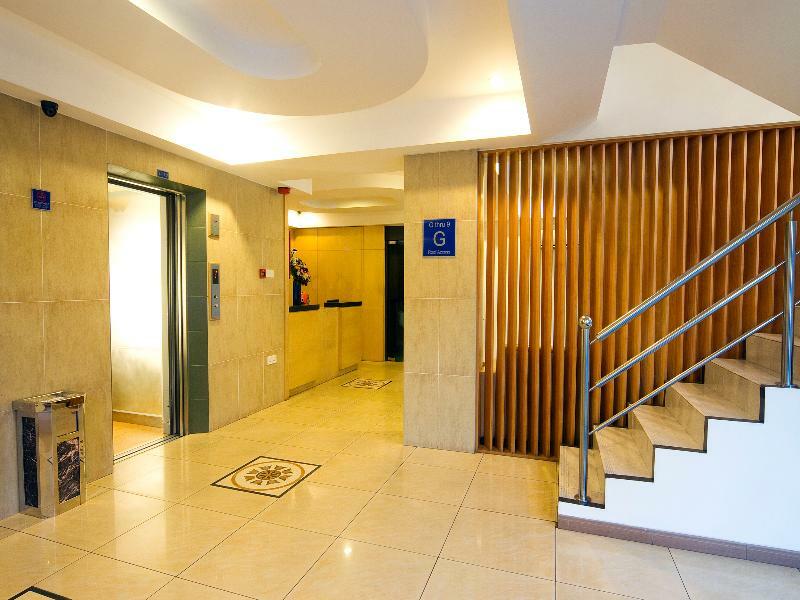 The hotel is located just a short distance away from Olympus, the National Library..
Well-positioned in Male International Airport, the hotel is the ideal point of departure for the excursions in Male City and Airport. As it is located only 2 km from the city center, the hotel's strategic location ensures that guests can quickly and easily reach many local points of interest. 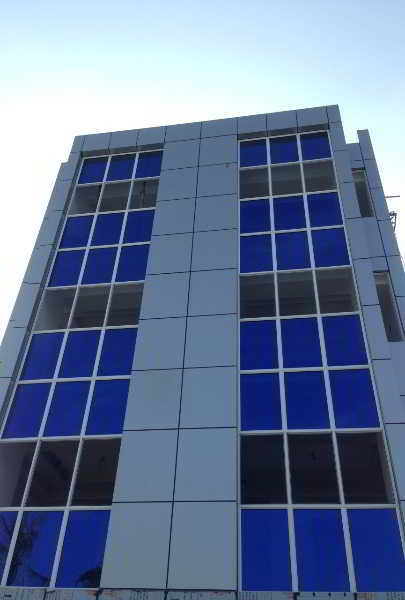 This modern..
City Grand is in Hulhumale' build in september 2014. Consist of 10 rooms with Double and Single rooms. We arrange extra Beds.Rooms with Air condition and tiled floor with modern fittings.Excellent Wi-fi services through whole building and 24 hours front desk.Laundry services/bicycle rental/ Barbecue/local..
Fuana inn is the first Hotel in Hulhumale (15-minutes' drive from Malé International Airport), with six years of history, we offer a restful beach side accommodation in fully air conditioned double or single rooms for transit, day use, overnight and long stay clients with a friendly and relaxed atmosphere.Just.. 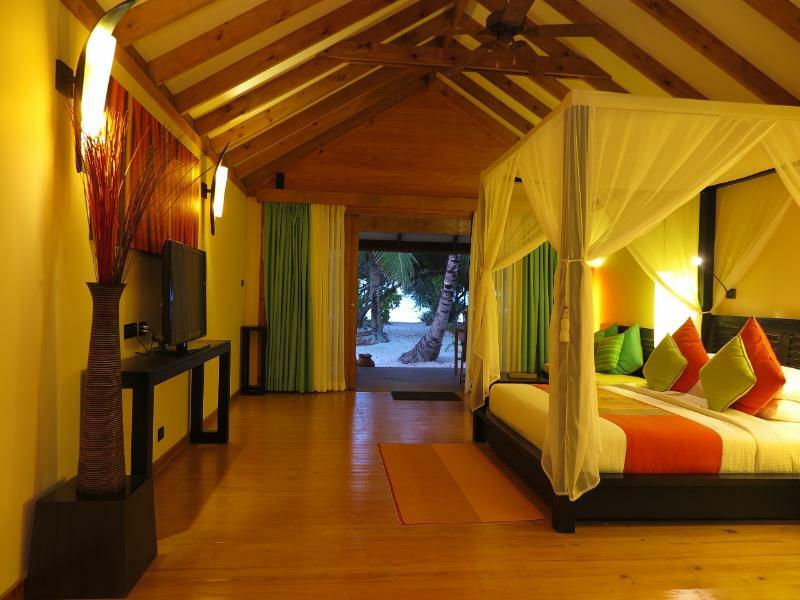 This charming lodge is situated on the pristine shores of Maafushi Island on the South Male Atoll. 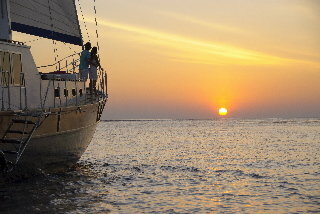 The lodge is located just a 30 minutes' speedboat ride away from Male International Airport. 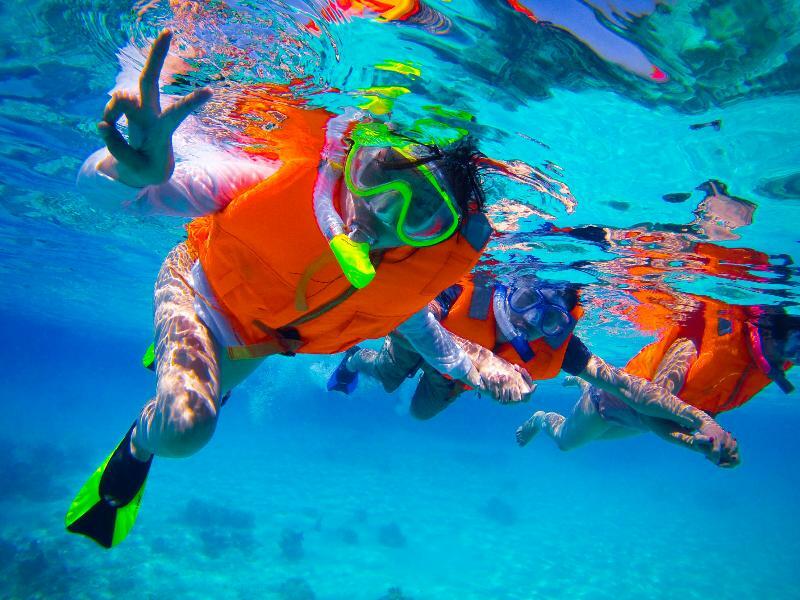 Guests can enjoy a wide range of exciting activities nearby, including snorkelling, diving and windsurfing. This.. 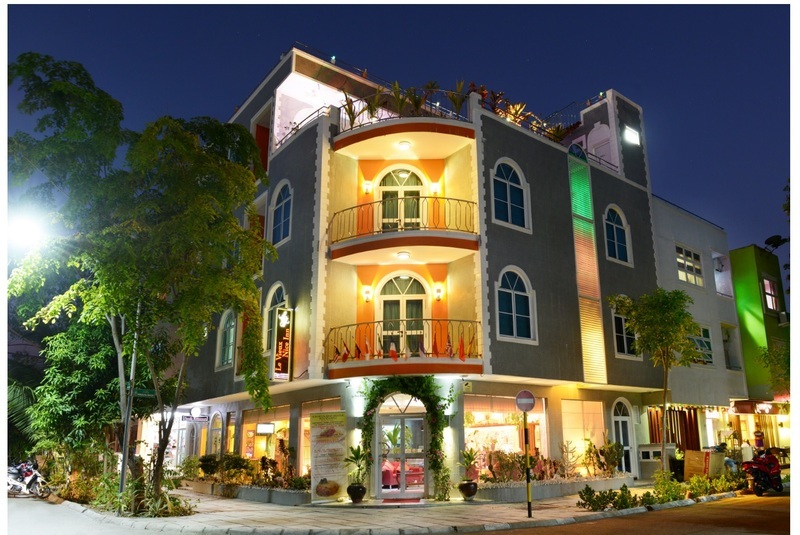 This delightful hotel enjoys an idyllic setting in the heart of Hulhumale, a mere 8 minutes' driving distance from Ibrahim Male International Airport. Beautifully situated, this delightful hotel offers guests the perfect setting from which to explore the essence and intrigue of the area. 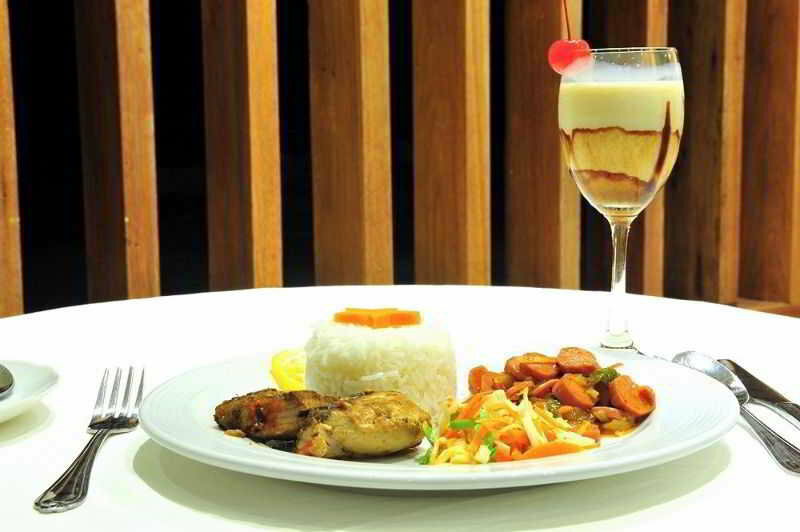 Guests can enjoy.. 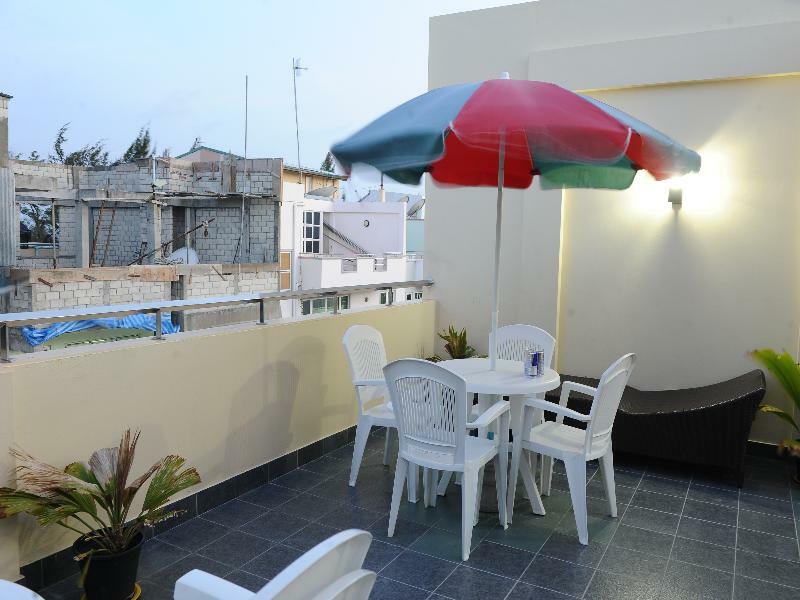 The property is conveniently located in the heart of Male for guests to enjoy the various shopping and eating options, or just to wander around this fascinating city.Hotel is a family run guest house offering a wide range of facilities assuring a comfortable stay to its guests.It features a total of.. 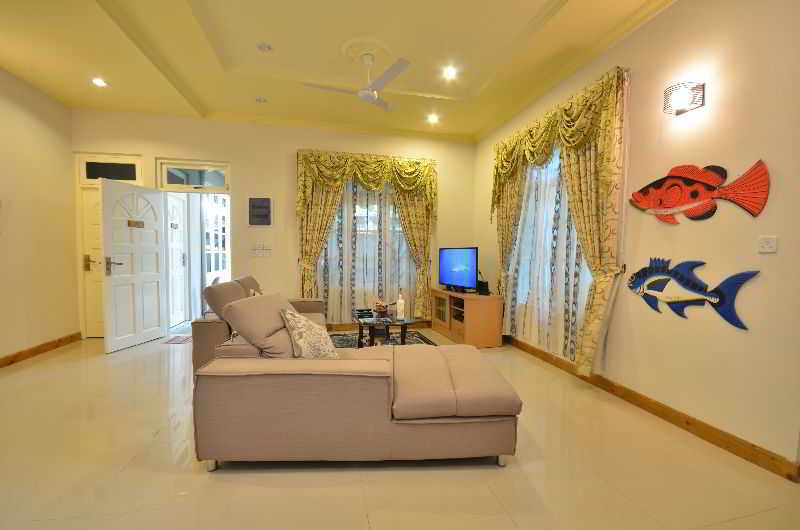 This popular property enjoys a privileged location in Hulhumale . Hotel was constructed in 2015. There are a total of 9 rooms on the premises. The property consists of 9 single rooms and 9 double rooms. The Hotel is situated at the heart of the city. There are multiple public transport links within easy.. 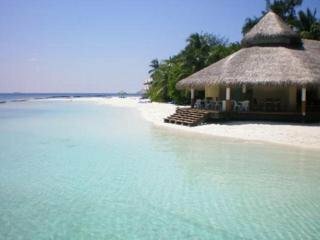 This property enjoys a magnificent setting in the Maldives, just a short distance away from Male International Airport. The property is set on Hulhumale Island, surrounded by an area of natural beauty and splendour. Guests can enjoy a host of activities nearby. The property tempts visitors into a world.. 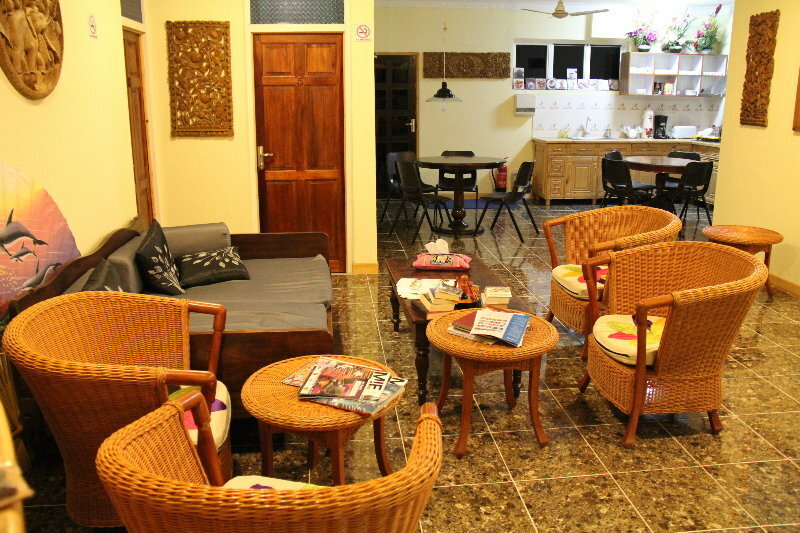 This charming small guesthouse welcomes its visitors at just a 10-minute walk from the Hulhumale Ferry Terminal. Located in a quiet area it is at just 5km from the city of Malé and 7.5 km from the International airport. Due to it housing only 10 rooms all of its guests will be guaranteed personal.. Guest house was built in 2015. The property consists of 12 rooms. The property consists of 12 single rooms, 12 double rooms and 12 triple rooms. This charming guest house is ideal for a weekend getaway or long-term stay. Guests will find the airport within easy reach. The beach is set in the immediate..
Nestled in a picturesque island of Maafushi in the Maldives, this hotel is in a prime location just few minutes' walk from the beach. This property offers a simple and comfortable accommodation to all these who wish to enjoy daily trips and rest at night. This establishment is located 30 minutes journey.. 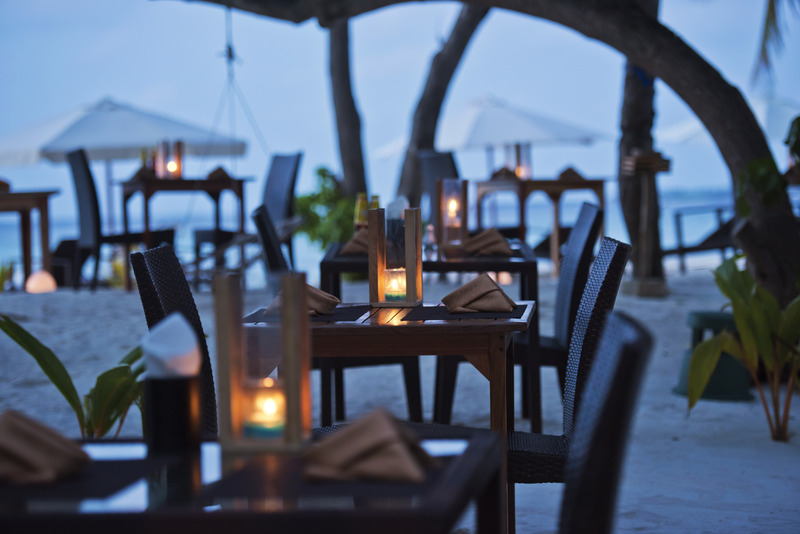 Featuring free WiFi and a barbecue, Season Holidays offers accommodation in the beachfront side of Hulhumale. 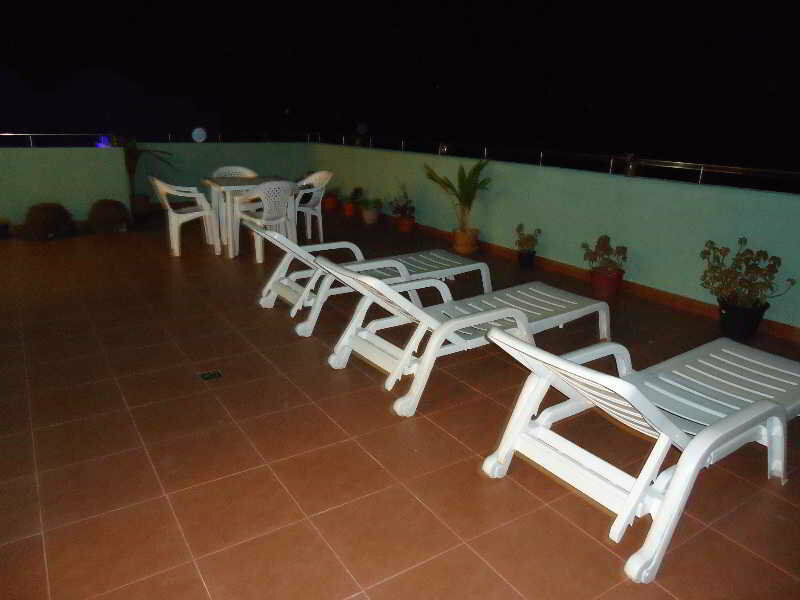 The hotel has a terrace and views of the sea and guests can enjoy a drink at the snack bar.Simply furnished rooms come with air-conditioning. 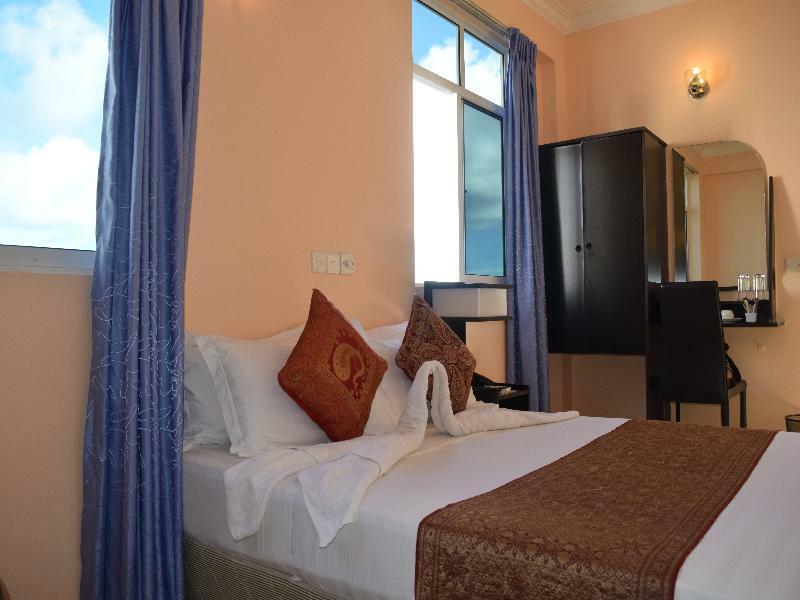 With sea and city views, the rooms include a flat..
Only a 10-minute drive from Malé International Airport, Shell Breeze Hotel Hulhumale provides affordable accommodation featuring air-conditioned rooms with breakfast and free WiFi. 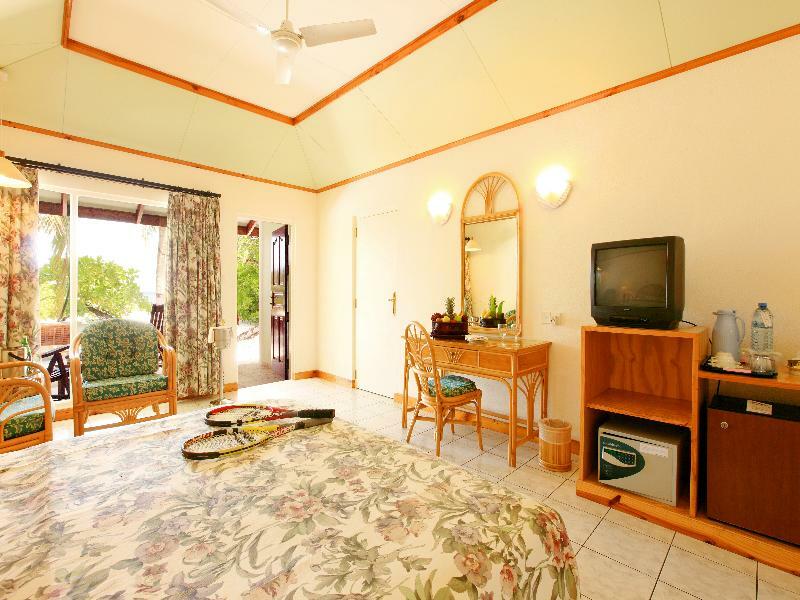 The inn is only a few steps away from the white sandy beach.||Each room at Shell Breeze Inn will provide you with a.. The guesthouse is located on a local island, south of Male, the capital of Maldives. The beach is just around an 8-minute walk from the property. 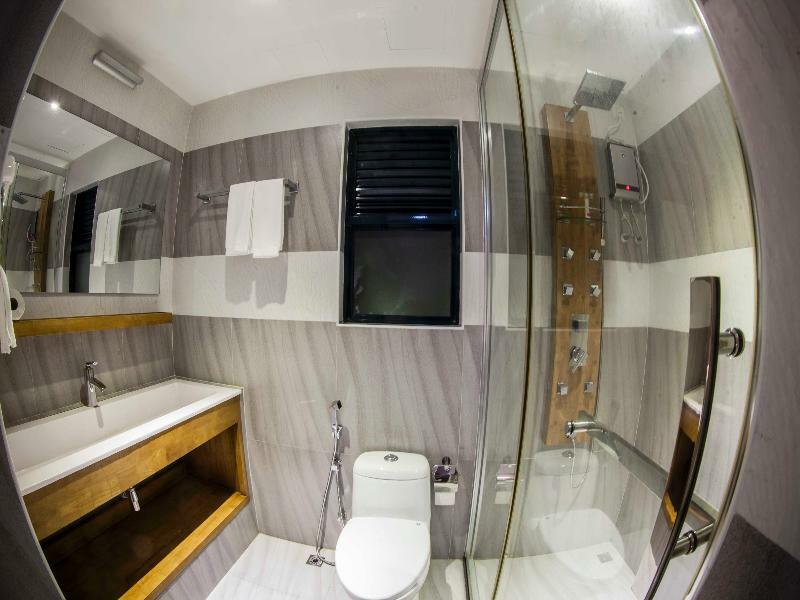 It takes 90 minutes by ferry boat and 30 minutes by speed boat to reach the hotel from Male, it is also not far from the airport.||Built in 2011, the property.. The White Harp hotel is designed with a seamless mingle of contemporary art and clean architecture, combined with touches of Maldivian culture. Set within the tranquil greenery of Hulhumale', overlooking the beach and the sparkling blue waters beyond, White Harp offers visitors the experience of nature's..
Water Sports to our left and Water Sports to our right and the most beautiful white coral sand beach in front of us. Looking over our huge turquoise glistening lagoon. It is exciting to see the kite surfers challenging the clamoring distant waves. Our tranquil shoreline is constantly inviting to splash.. 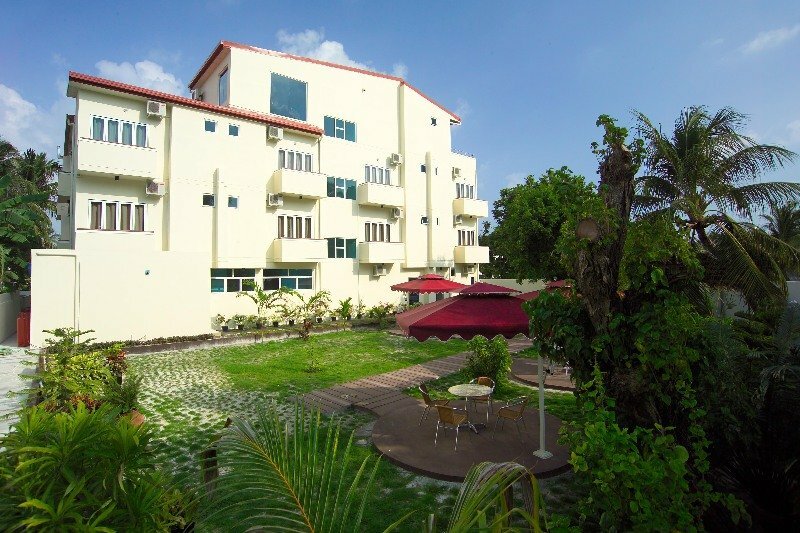 The hotel is located a 10-minute drive from Malé International Airport, on an island which is connected to Hulhulé. 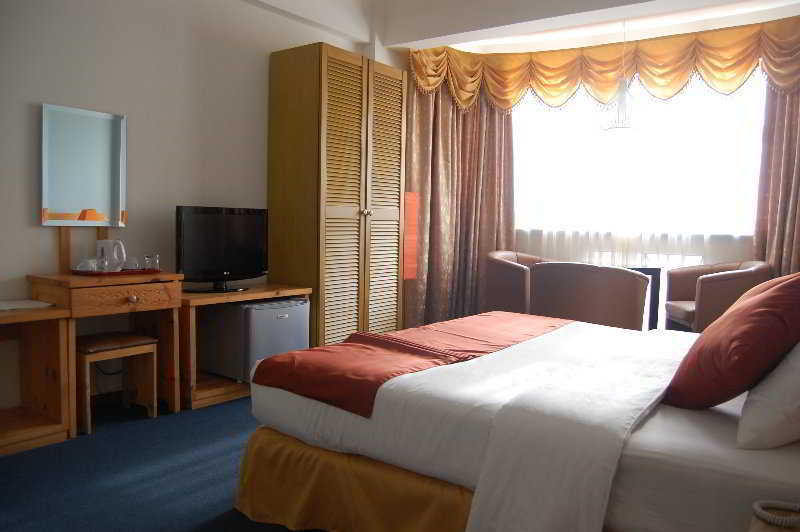 The hotel offers 6 rooms and a range of facilities. Free parking is available too. Staff at the tour desk can arrange for activities that include water sport activities, diving..
Ukulhas Inn is situated on the North Ari Atoll (15min Seaplane ride from Male' Airport) and is widely regarded as one of the best diving spots in the world. Ukulhas Island is splendidly gifted with green vegetation and white sandy beaches, where the guest can enjoy sun, sea and sand.On the beachThis..
Velaa Beach-where turtles nest and normal travellers rest. A beach house for the traveller of the now. 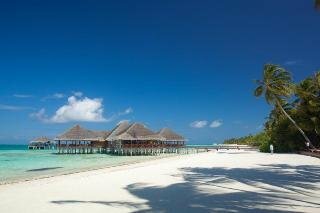 discovering a different|kind of Maldives.|Velaa Beach embraces local; it is an island experience with all the usual trimming. 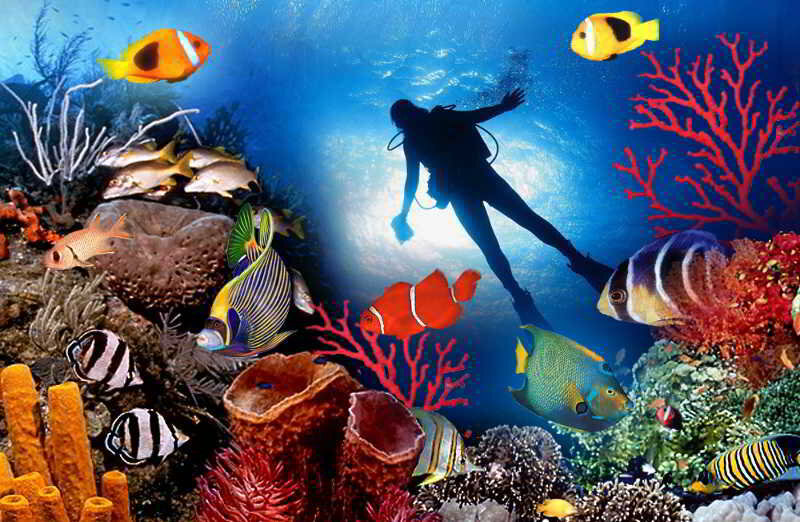 Crystal clear Indian|Ocean at your doorstep, world's best dive sites all.. This superb resort is located on one of many tropical paradise islands that make up the Maldives and is ideal for a romantic getaway. Accessed by a 40 minute seaplane flight in which guests can truly discover the beauty of the area from the air, this excellent resort features three types of modern villas.. The hotel is located at Maafushi Island, near the Male' International Airport and Maafushi can be reached within a 30-minute speed boat ride.This is a small private hotel designed for those seeking an easy-going, foot-in-the-sand experience. 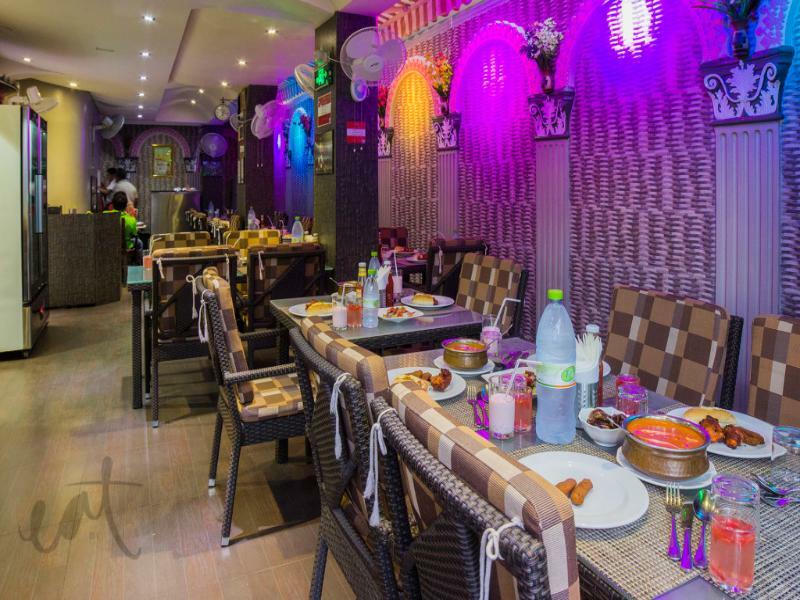 It provides a unique and cosy atmosphere with the highest level.. 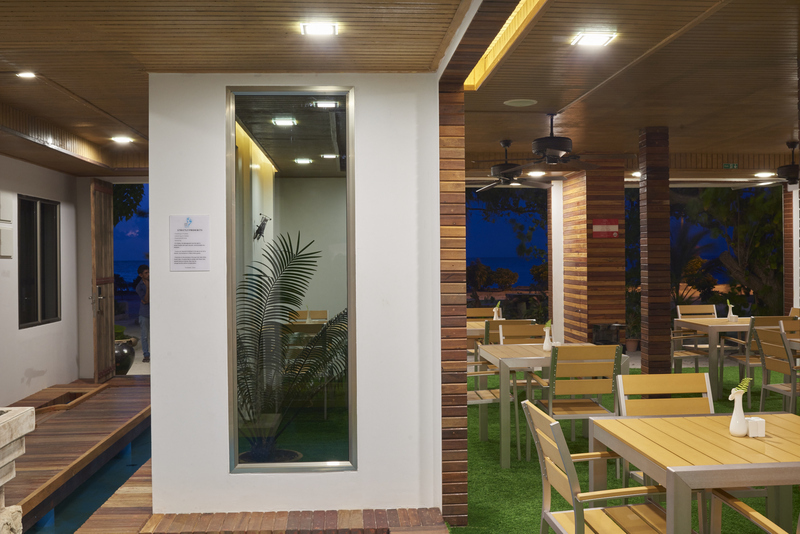 This stylish establishment is situated in Hulhumale's beachfront, just minutes away from the capital city, Male, and from Ibrahim Nasir International Airport. Guests are welcomed by natural surroundings, warm hospitality and a dedicated service. They will be pleasantly surprised by the modern, elegant..
Fihalhohi is the last island of South Male' and is located on the South Western rim of the atoll approximately 28 Km away from the Male' International Airport Lush green natural foliage and hundreds of shady coconut palms fringed by white sandy beaches cover an area of around 80,000 sqm of land where..
Conveniently located at the airport jetty in Male City, the hotel is just a 15-minute dhoni (local boat) ride away from Male International Airport.||Aside from its excellent location, this property makes visiting the Maldives affordable, with 12 well-furnished and elegantly designed rooms that guarantee.. 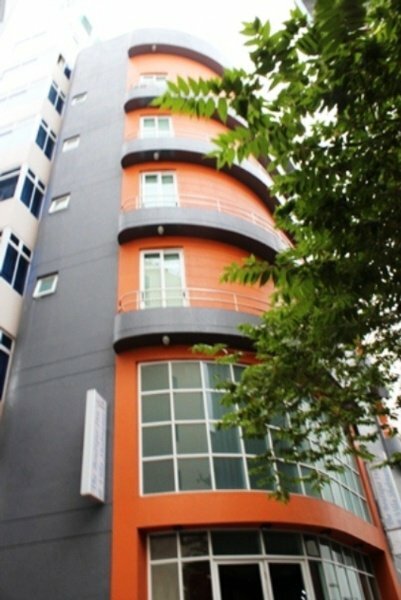 This luxurious hotel is located close to the centre of Male. 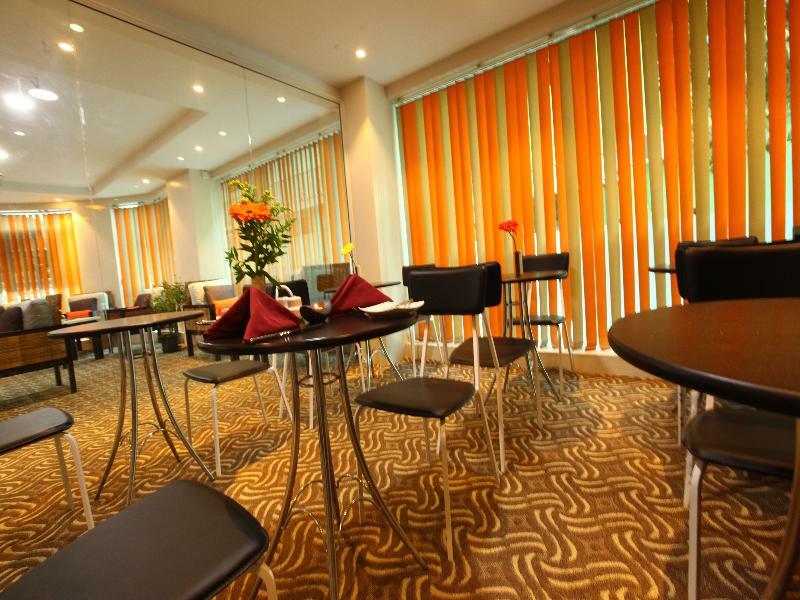 The hotel is located within easy access of a wealth of attractions in the area. 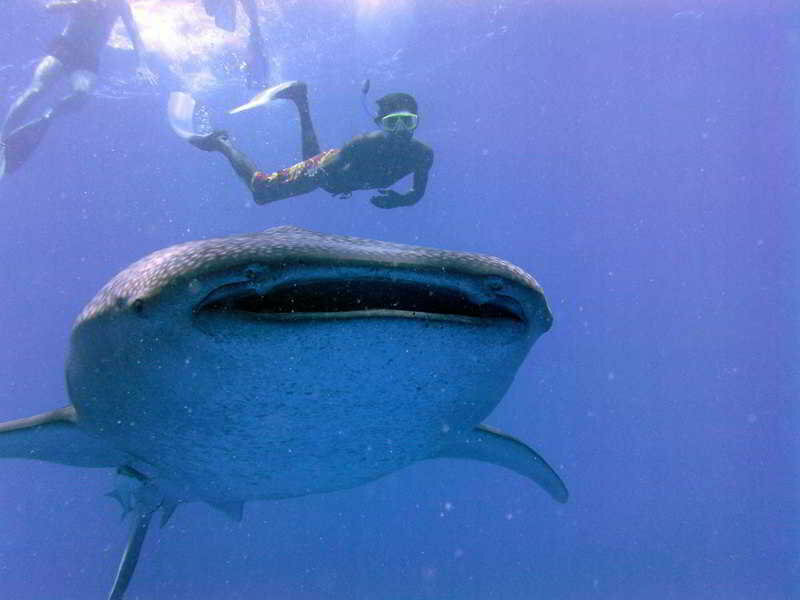 Guests can enjoy a wide range of exciting activities nearby, including diving, surfing and island hopping. 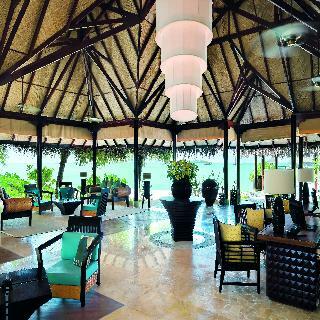 This magnificent hotel exudes a blend of tropical splendour.. 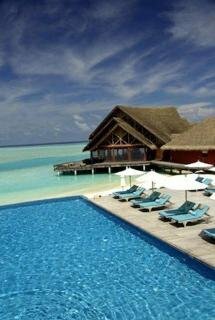 The hotel overlooks the ocean and is located in the north-west side of Male, the capital island of the Maldives. It takes 7 minutes by boat from the airport island to reach Male. Ferries depart every 30 minutes. 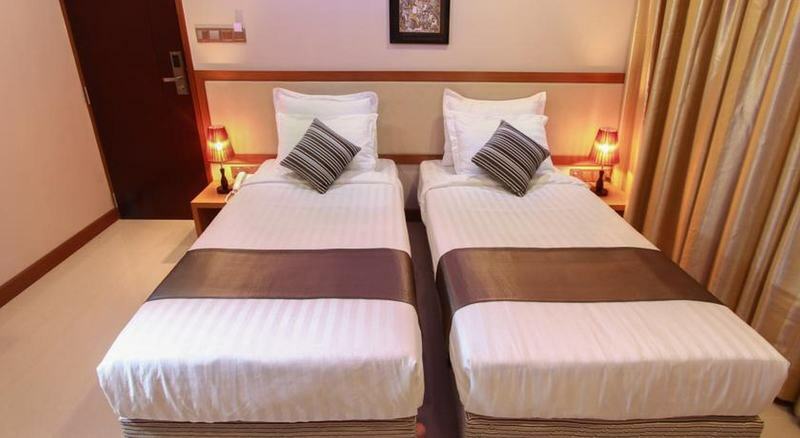 The hotel is also situated 1 km away from the ferry jetty and about a 5-10 minute drive,.. 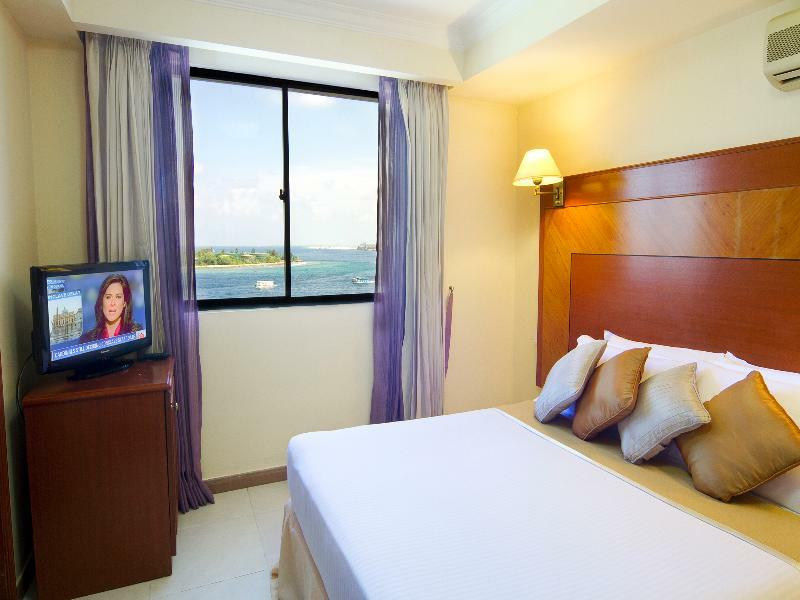 The hotel is located in the city centre, 15 minutes by boat from Male International Airport. 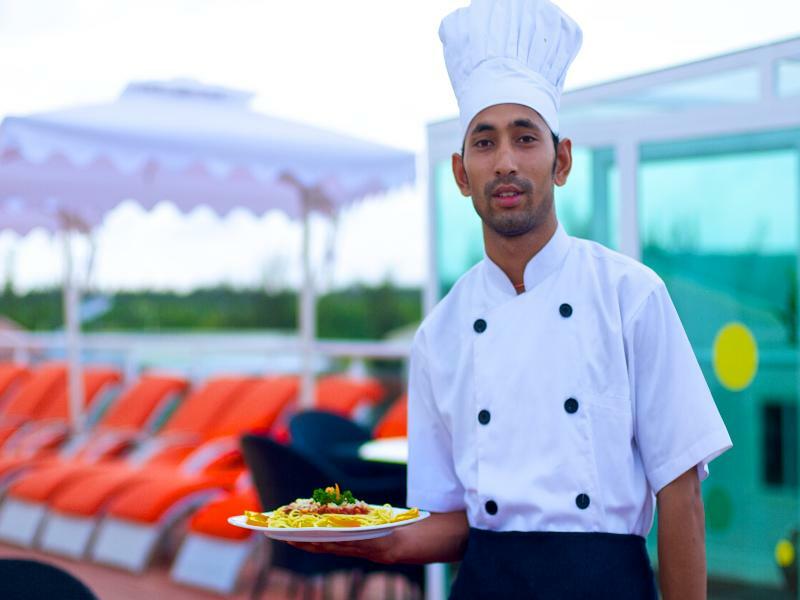 It is also a 5-minute walk from the airport jetty overlooking the Indian Ocean.||This international-class city hotel offers a wide range of facilities, ensuring a comfortable stay for its guests. Guests are welcomed.. 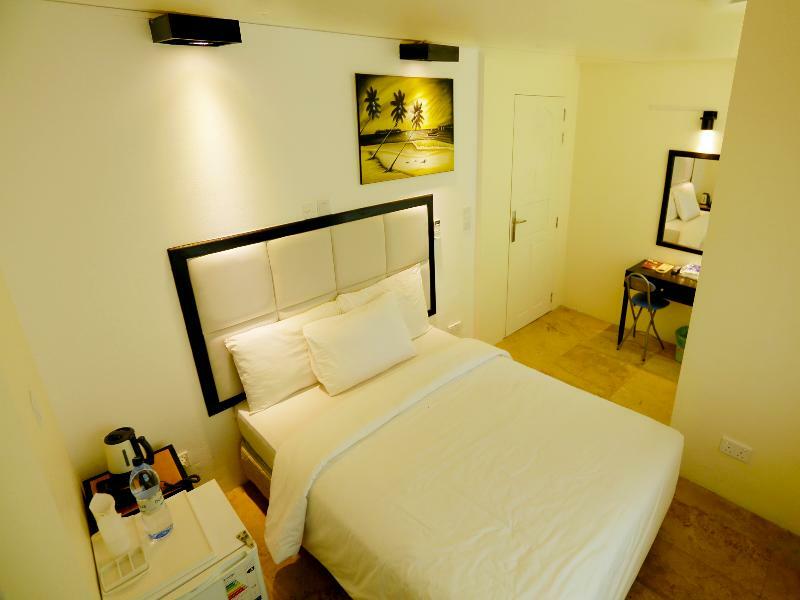 The hotel is ideally located within Male city.||This 4-star property features all of the amenities necessary for a comfortable stay in the Maldives. It also offers fantastic value for money.||The hotel offers good accommodation facilities.||Breakfast, lunch and dinner are available. Surf View is the only elegant hotel which overlooks the breathtaking panoramic views of outlying Artificial Beach and the popular surfing area of the city. 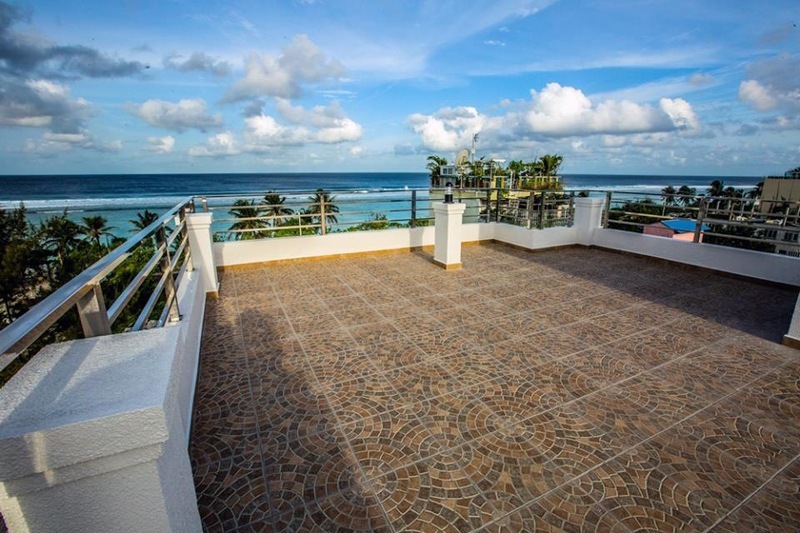 Since surfing is fast becoming a popular sport among holiday makers Surf View has become a very desirable hotel among the tourists. .
Set in Fuvahmulah, this property is the perfect base for both business and holiday travel. Hotel was built in 2012. Hotel was completely renovated in 2014. The property consists of 4 rooms. 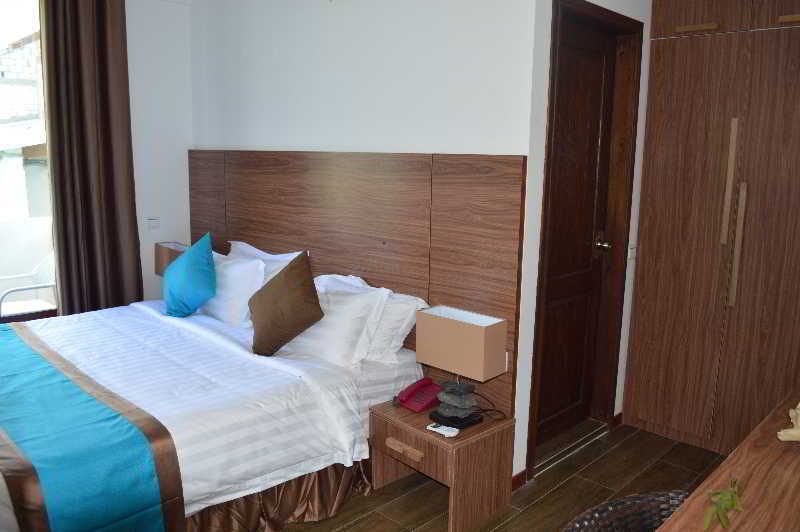 The property consists of 4 single rooms, 4 double rooms and 1 suite. 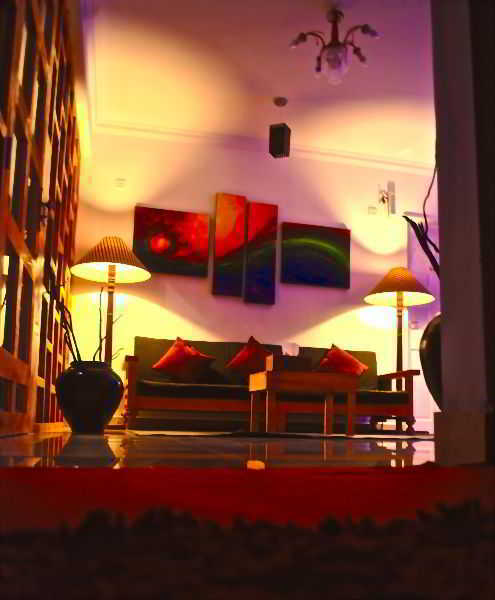 Situated in the heart of the city, the Hotel..
Visitens Lodge is located in the island Hulhumale' in an extremely characteristic, quite and lively area within short walk distance to all sites and is surrounded by the extraordinary beauty. On entering this charming hotel, you will immediately sense its special intimate atmosphere that makes you feel.. This hotel sits at the tip of the South Male atoll in the Maldives. Its unique location offers access to pristine beaches, excellent scuba diving opportunities and a relaxed environment with easy access to the capital city of Male. The hotel's closeness to Male allows it prime access to the country's..
\"This contemporary resort reaches white sand beaches and is situated 24 kms from the Maldivian capital, 27 kms from Thilafushi and 40 kms from Vabbinfaru. Bandos is approximately 30 kms away. This white sandy beach club resort with a huge blue lagoon is a perfect all-weather getaway for fun, romance..
\"Located in a tropical dreamscape, the family resort is close to many local attractions such as gardens, museums, historic mosques and much more. Malé International Airport is 130 kms away. This beach hotel spans over 43 acres, with a breath-taking shoreline and a beautiful coral reef beneath,.. 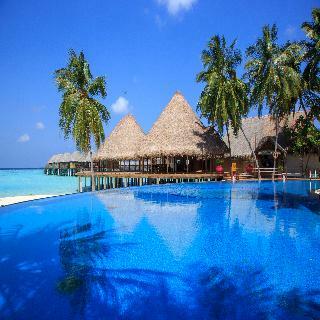 This superb beach resort is beautifully set amidst rustling palm trees fringing the pristine seafront in the Maldives. 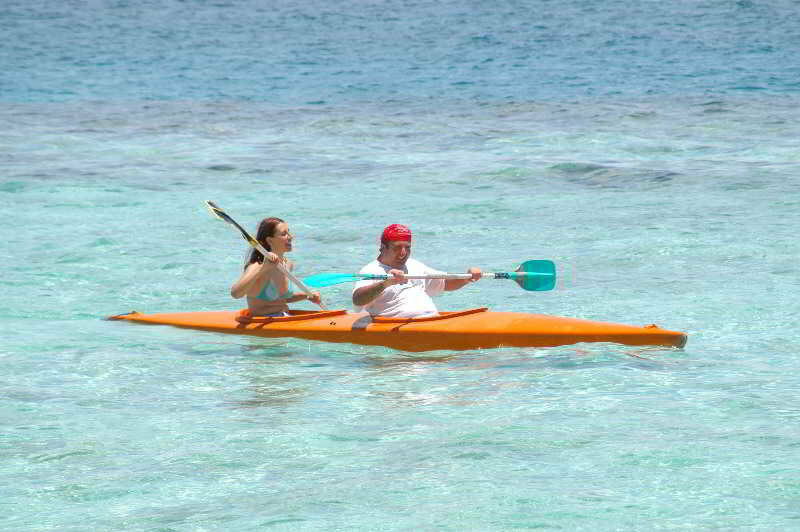 The hotel is just a 15 minutes' speedboat ride from Male and Male International Airport. The resort's veritable paradise island setting offers guests the perfect hideaway where they..
Chaaya Island Dhonveli is situated on North Male Atoll in the enchanting Maldives. 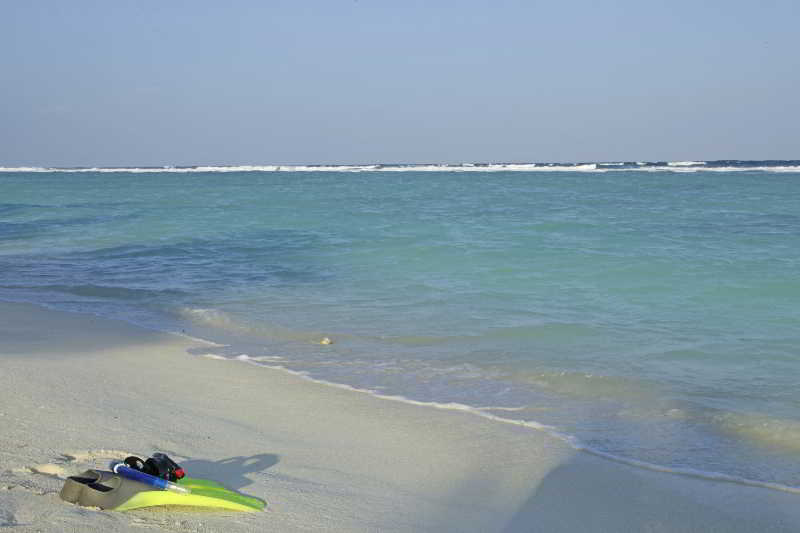 The resort is located just a 20 minute speedboat ride from the international airport and the capital island of Male. Guests can enjoy nearby game fishing areas and water sports in the lagoon where the private reef and..
For an ultimate holiday experience, the Chaaya Lagoon Hakuraa Huraa is your perfect destination. With a new look and better facilities, we are ready to offer you the wonders of sun, sand and sea in a backdrop of ultimate comfort. 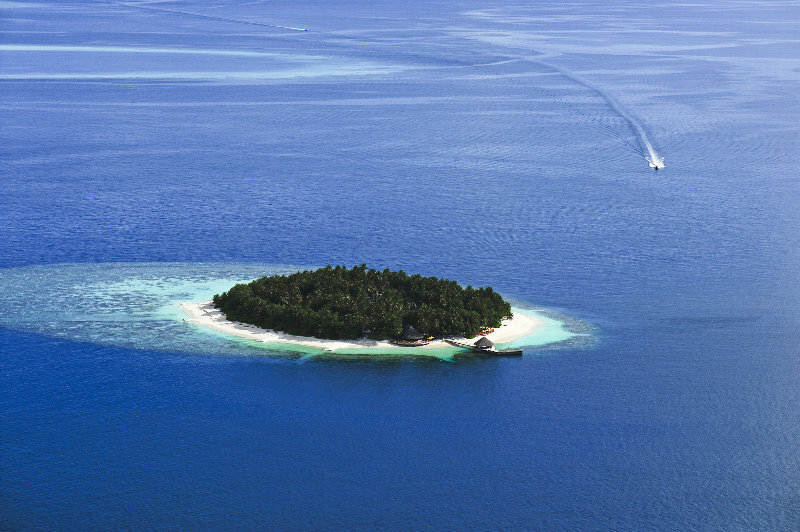 Located 145 km from the capital, Male, it takes 45 minutes by seaplane.. Located 42 km away from Male, the capital of Maldives, Chaaya Reef Ellaidhoo is 25 minutes by seaplane or 85 minutes by speedboat. 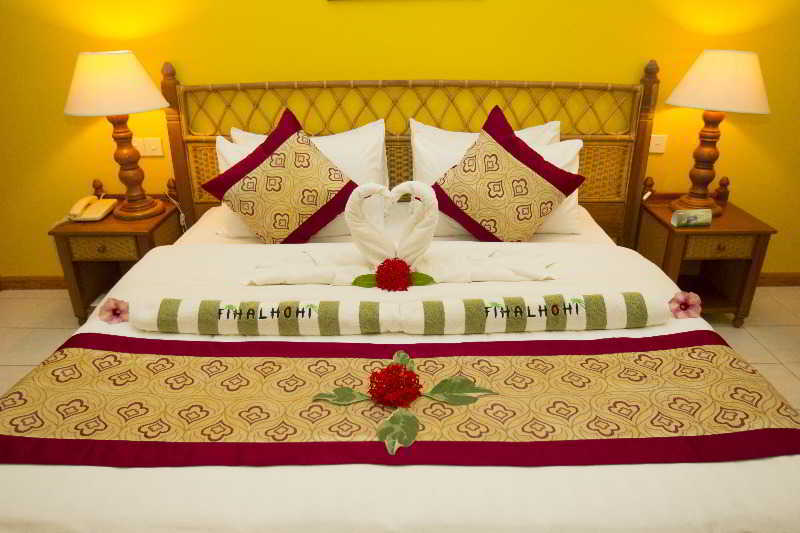 Guests are spoiled for choice with 4 star accommodation facilities in spectacular surroundings. Our Green Globe certification is testament to our values and ethos. The pristine.. Located on the top of southern Ari Atoll in the spectacular Maldives Holiday Island Resort & Spa exudes luxury and calmness. The hotel gives guests the opportunity to bask in opulence amidst the stunning natural surroundings of the island which boasts excellent snorkelling and diving opportunities.Guests..
Noomoo offers deluxe superior, partial sea view rooms with hot and cold showers. Each room is comfortably equipped with modern furniture for guests to enjoy, and supplied with room amenities such as a laptop safe, a refrigerator, tea, and coffee. Bathroom amenities are also available for your convenience..
Nestled amidst tropical vegetation and shaded by graceful palms, is Olhuveli Beach & Spa. Surrounded by a vast sandy beach and a crystal clear lagoon, this is a truly beautiful island, where paradise seekers escaping from the pressures of everyday life can forget the outside world and let go of all.. 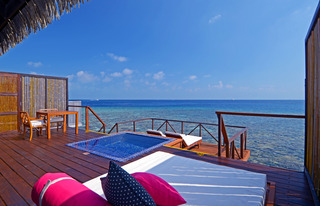 This superb resort is situated on the north-east of Baa Atoll on the intimate island of Fonimagoodhoo. The stunning villas are dotted amidst the captivating natural surroundings, fringing a sprawling expanse of pearl-white sandy beach. 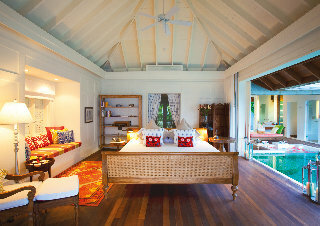 Some of the villas are set on stilts over the crystal-clear lagoon,.. 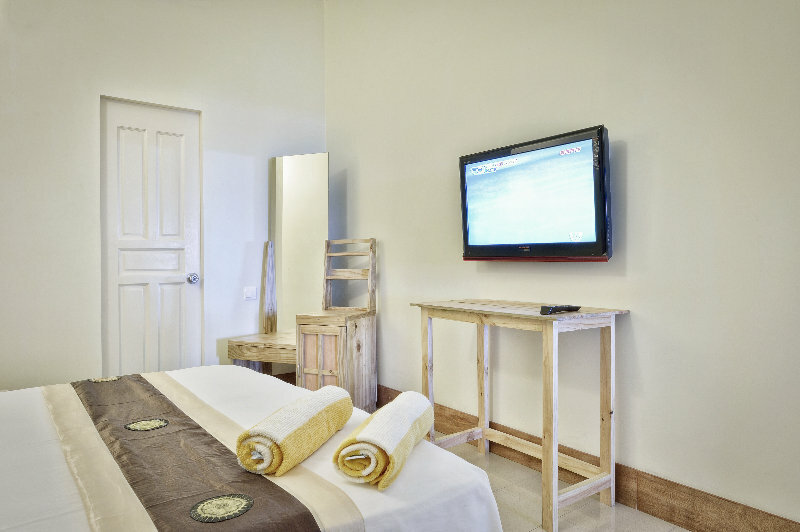 This is the first and only hotel with full resort facilities situated on Laamu Gan, the longest island in the Maldives. With its approximately 60-metre deep turquoise lake and large ruins from the historical Maldivian Buddhist Era, this hotel is ideal for tourists and offers a tranquil and calming holiday..
Hotel was built in 2014. The property consists of 15 rooms. The property consists of 15 single rooms and 15 double rooms. This hotel is the perfect base for exploring the area. 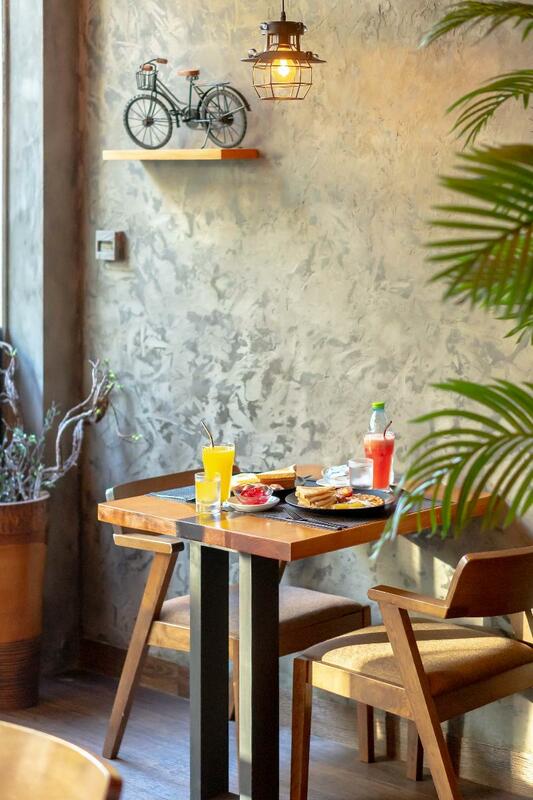 Situated in the heart of the city, the Hotel provides the ideal base for exploring the city. Guests will find numerous bus and.. Situated on Nalaguraidhoo, regarded as the most beautiful island of the Ari Atoll in the Maldives, this beach hotel enjoys an idyllic setting immersed in natural tropical beauty. The Sun Island Resort & Spa offers guests a relaxing getaway with much to be discovered. Just 200 metres from the beach,.. 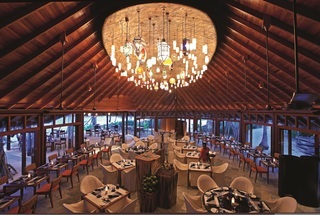 The Barefoot is located within an almost untouched forest on Hanimadhoo island in the preserved deep North of Maldives. 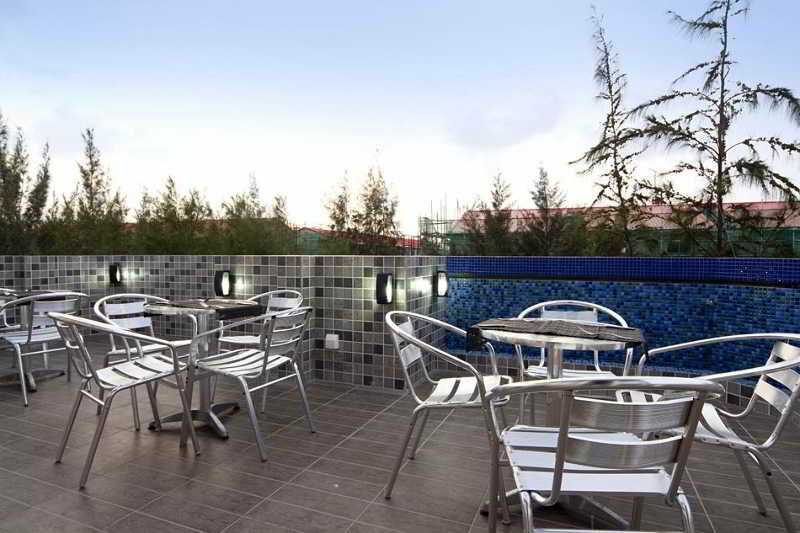 This 4 star Eco Hotel is well connected to Male international airport by numerous daily 45 minutes flights. Due to its luxuriant vegetation and privacy everybody can fall in an untouched.. This beach hotel is located on the South Male Atoll, a 15-minute journey by speedboat from Male International Airport.This resort, built in 2009, is warm and welcoming and embodies themes of indulgence throughout. It focuses on giving guests a fantastic service to match the amazing visual treat any Maldives..
A haven of pool villas, this luxurious, eco-conscious resort offers a matchless holiday by creating a private sanctuary for each guest. The resort is situated on its own private island in the Baa Atoll, an area which was declared a biosphere reserve by UNESCO in 2011 for its unique and fragile flora.. This spectacular resort is situated just a 20 minutes' speedboat ride from Male International Airport on the North Male Atoll. Ihuru is one of the most picturesque islands in the Indian Ocean, opening up a tropical paradise of palm-fringed, powder-white beaches, crystal-clear waters and intriguing house.. 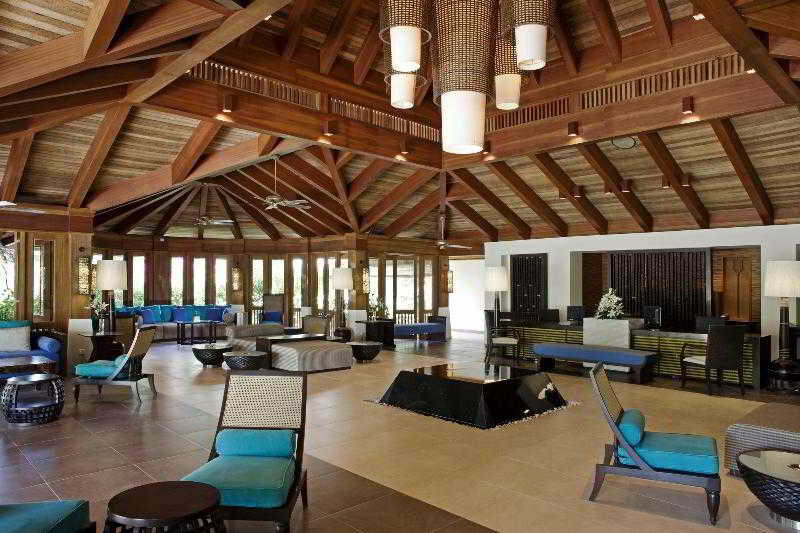 This resort hotel boasts a spectacular setting within the North Male Atoll. The property is set amidst the natural beauty and splendour of the Maldives, immersing visitors in tropical beauty and natural charm. Guests will find themselves just a 20 minutes' speedboat ride away from Male International..
Luxurious and unforgettable stay is guaranteed in these tropical-style villas located by the crystal-clear waters of a private island paradise. Opening out to stunning views of the ocean or surrounding greenery, the resort air conditioned villas are equipped with fine wood and cane furnishings. Breathtaking.. Pure escapist fantasy is the hallmark of the resort, 'the epitome of every tropical paradise fantasy' to quote British Elle magazine. This stunning, romantic island resort offers sophisticated barefoot elegance, surrounded by glorious natural beauty. Frequently winning awards and accolades, it is home.. 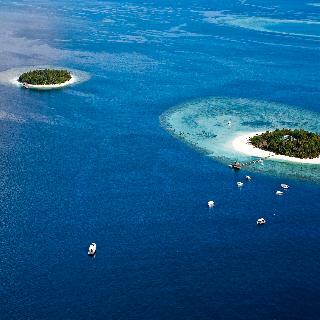 This exclusive resort is located in the North Ari atoll, on a small island only 500 meters long and 200 meters wide. 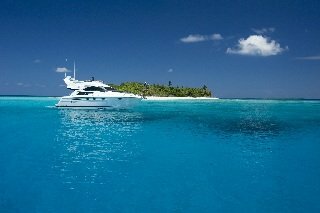 The island is 25 minutes away from Male by seaplane and 1 hour and 15 minutes by speedboat. The resort is a place where time seems to have stopped and dreams become reality, as visitors.. This luxurious island retreat is nestled amidst natural beauty and splendour on the Haa Alif Atoll. 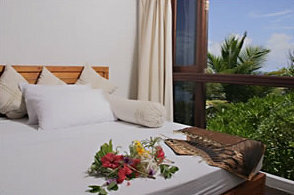 The property is surrounded by sugar-white beaches, coral reef lagoons and luxuriant jungle greenery. 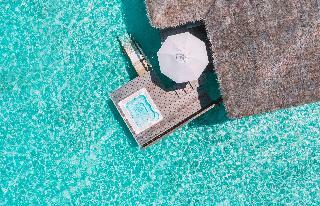 Guests will find themselves in a picture perfect setting in which to indulge in the ultimate relaxation..
A pearl-like string of island atolls on top of a vast submarine mountain range in the Indian Ocean forms the smallest Asian nation, the Maldives. Blessed all year round with a tropical climate and average temperatures of 30 Celsius, this stunning destination is a family favourite for restful vacations.. 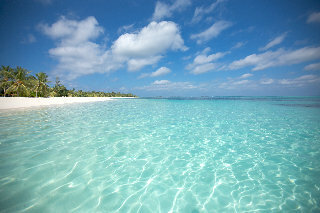 This stunning resort enjoys a charming setting on a private island in Eastern Lhaviyani Atoll. The resort is ideally located from which to explore the natural beauty and splendour of the surroundings. Guests can enjoy a number of exciting activities nearby. The resort is located just a 40 minutes' seaplane..
Travellers can embrace the beauty, friendliness and warmth of this tropical island, just 25 minutes from Male by seaplane, yet a world away in spirit. Far from the bustle of modern life, this romantic getaway sits among frangipani and hibiscus, surrounded by coral sands and the crystal-clear lagoon of.. 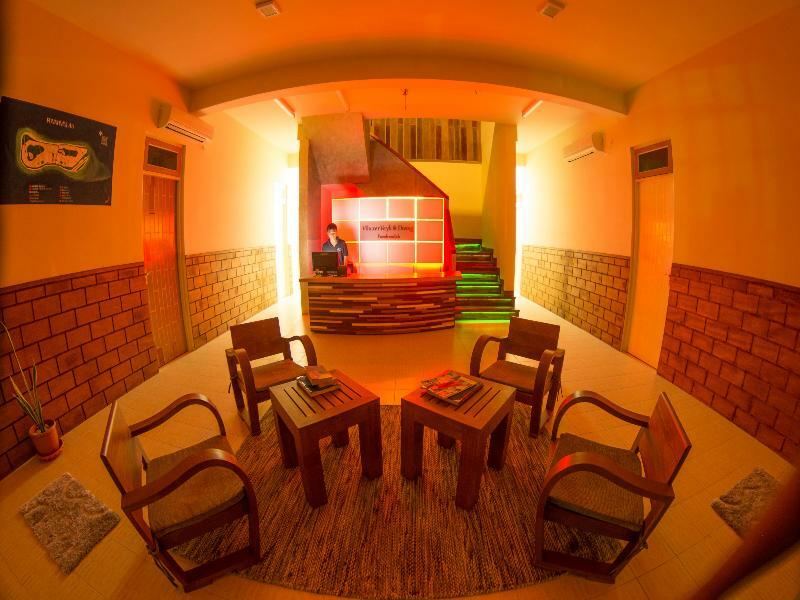 This resort is located in Meemu Atoll, lying 130 km away from Male International Airport. The resort is set amidst the natural splendour and beauty of the area, bathed in serenity and tranquillity. The resort affords guests a picture-perfect setting in which to enjoy a truly magical experience. The resort..
RETURN TRANSFERS MANDATORY FOR ALL BOOKINGS* FLIGHT TIMINGS HAVE TO BE ADVISED AT THE TIME OF RESERVATIONS*On a tranquil palm covered atoll surrounded by a coral lagoon, Naladhu - Maldivian for "beautiful island" ,offers a mosaic of timeless moments of seclusion, luxury and serenity. Mornings, fresh.. This villa resort is surrounded by the wonders of the sparling Indian Ocean. 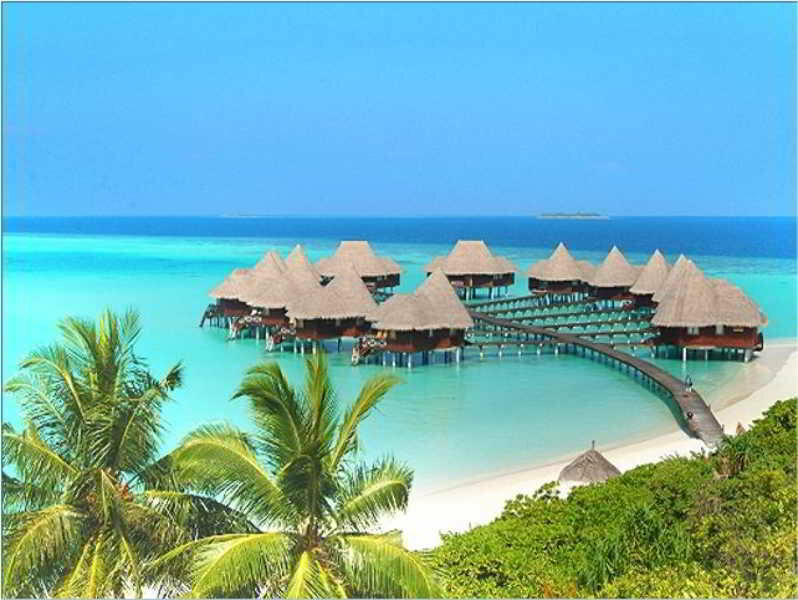 The resort boasts a stunning setting, amidst the splendour and beauty of the Maldives. This resort is immersed in culture, natural beauty and tropical splendour. 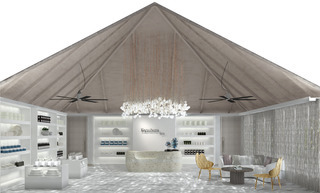 The resort tempts visitors into a picture-perfect world where.. The hotel borders the beach and lies 7 km from the airport and offers something for everyone. Guests will feel they belong here from the moment they step into this warm, tropical oasis. They can find a haven of pure relaxation or pursue their outdoor passions; the choices here are endless. Spacious and.. This mesmerising, exclusive beach resort enjoys a romantic island setting amidst luxuriant, natural surroundings on one of the largest lagoons on the Maldives. Guests are afforded the opportunity to enjoy a relaxing, beach holiday, revelling in the unprecedented, captivating environment. 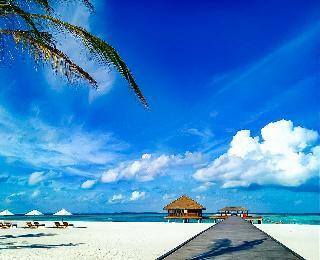 The resort is..
\"The hotel is delicately nestled in the pristine beauty of Fesdu Island, to the west of Male. With its endless sunshine and crystal-clear water, full of life, it is an ideal retreat. This hotel has won multiple global best hotel awards. The spacious rooms represent the best in architecture, with.. Guests will experience the diversity of the Maldives on the 45-minute scenic sea-plane trip over the breathtaking azure waters, to arrive at the lush, beach-fringed natural island where this hotel is situated. 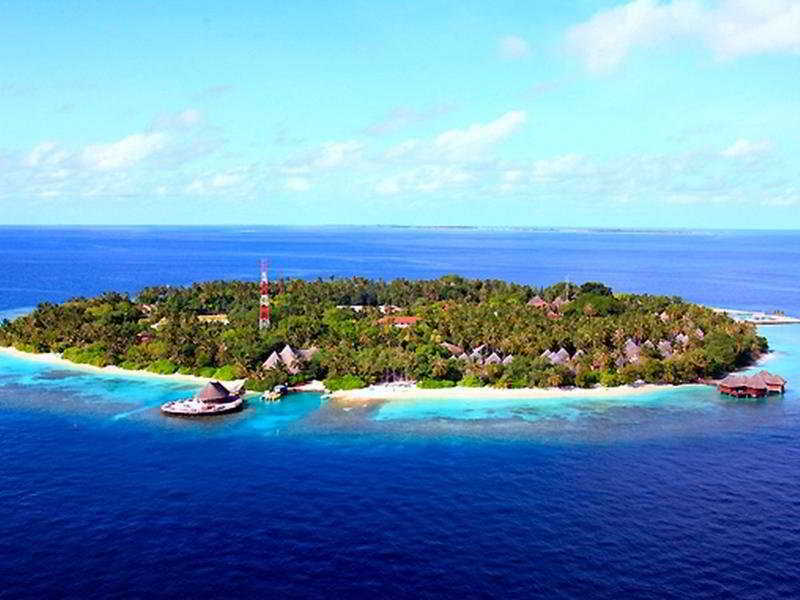 It is located in the Noon Atoll, approximately 189 km from Malé International Airport.||This..